After graduating from Glasgow completed an MA in public Art and Design at Dundee College of Art in 1987. She has exhibited and travelled widely including to China and India. 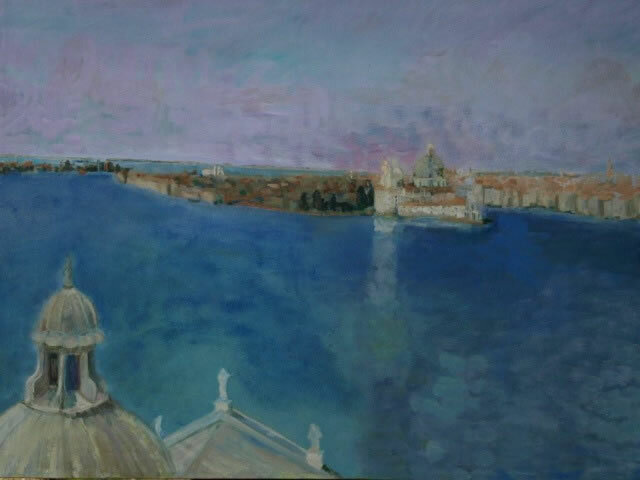 Burr has works in various public collections and has executed numerous public commissions. She has also taught part-time at Glasgow School of Art. She lived in Shetland for eight years and now lives on the West Coast of Scotland. Lesley is interested in creating images that reflect the ever changing aspects of the cycles of nature and that symbolise the rich and varied aspects of human experience. 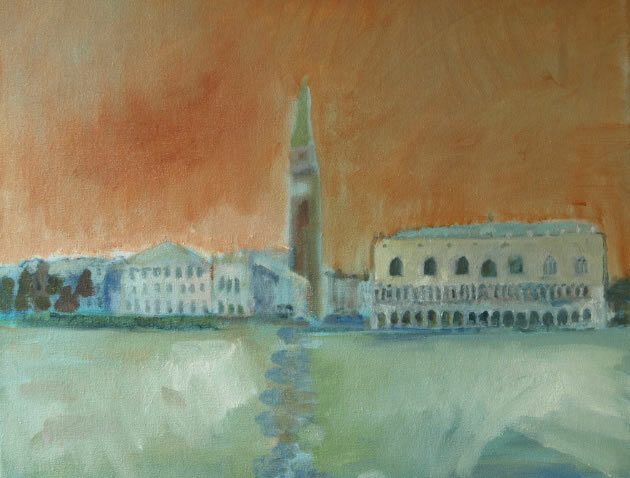 For the Venice work she chose to look closely at memorable aspects of the townscape that suggested to her a sense of magic, scale and grandeur. There is an air of mystery and of multiple histories merging in these old and crumbling, iconic buildings. 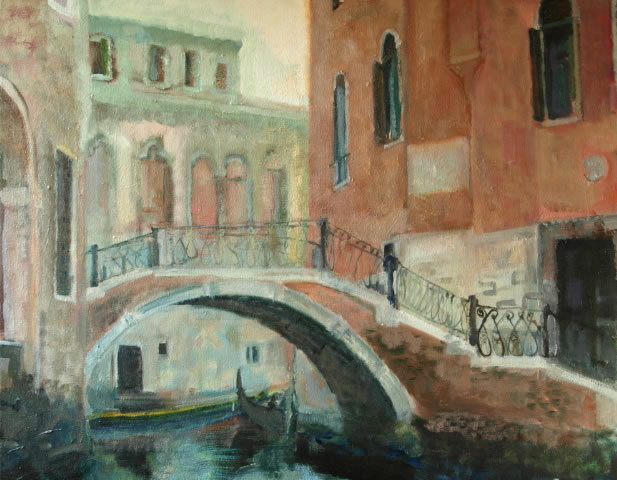 All around is the reflected light of the canals and lagoon that softens our experience of decay and any suggestion that these great structures could sink into the rising water. 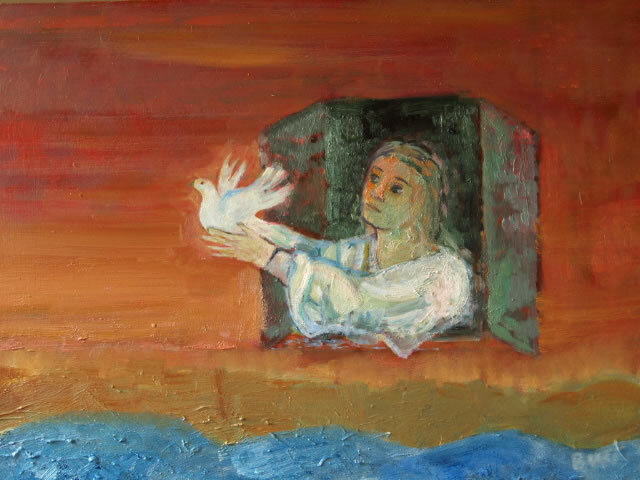 Looking at the real and the imaginative she is exploring a range of ideas that include fragility, harmony and faith, loss, beauty and hope. 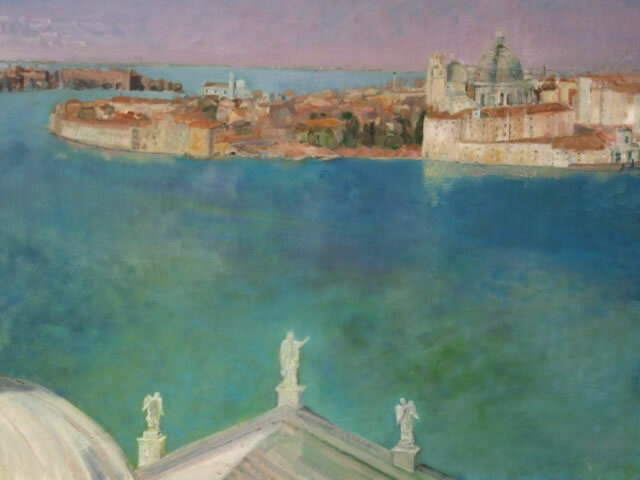 Her remarkably poignant images have a gentleness and depth that again go beyond the usual often pretty and quaint depictions of Venice. The beauty and resonance of her images are of a different kind, for they contain an understanding that all is impermanent and its beauty therefore all the sweeter.